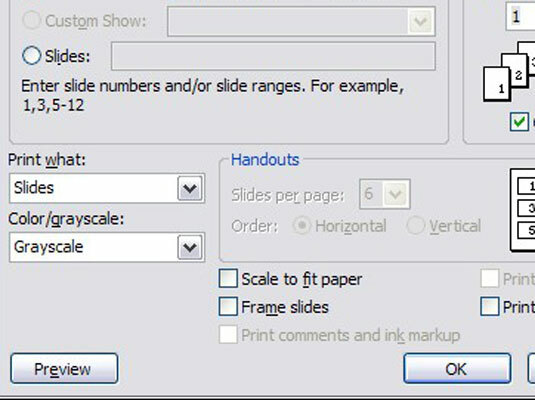 1Open the PowerPoint Print dialog box. 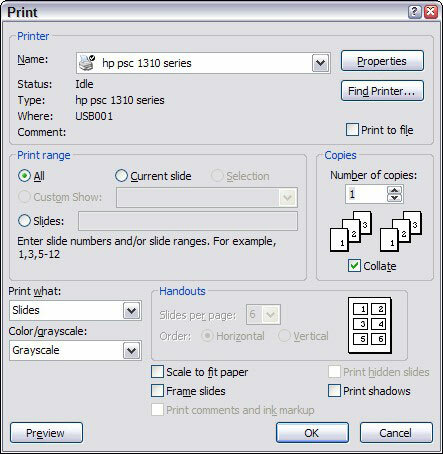 You can do so by choosing Office→Print or press Ctrl+P. 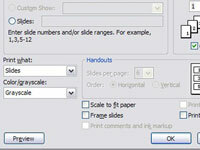 2(Optional) Enter slide numbers in the Print What box to print only certain slides. 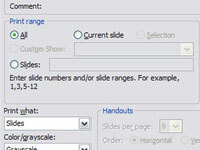 You do this if you only want to print certain slides. 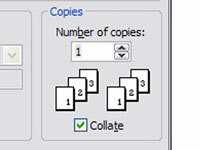 3(Optional) Click the up or down arrows in the Copies sections to control the number of copies to print. 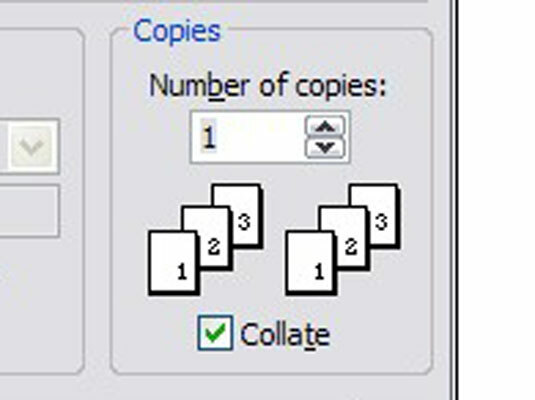 You can print as many or as few copies as you want. 4Click OK or press Enter. 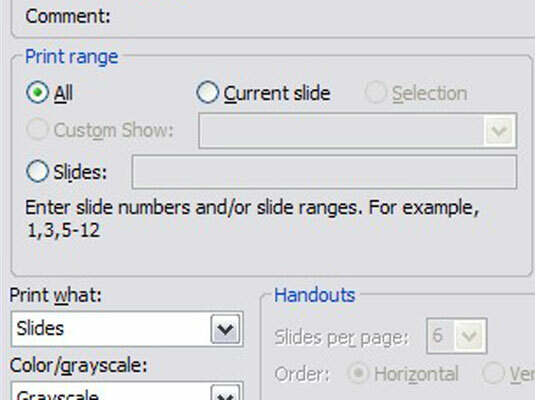 This prints the slides in your presentation.